Looking for the top app? Skip ahead. It’s never been so easy to get distracted. Forget social media — even if you have the willpower to ignore your Facebook feed, can you resist the ping of a new email notification? The interesting headline of the latest Entrepreneur article? The pop up of a text on your iPhone? If you work from an Apple device, there’s one solution you should try: a Mac time tracking app. This software can be a lifesaver for freelancers and employers who primarily work on the OSX operating system. Time tracking apps serve as a reminder, disciplinary assistant, and motivation booster for both solo freelancers and home-based work teams. 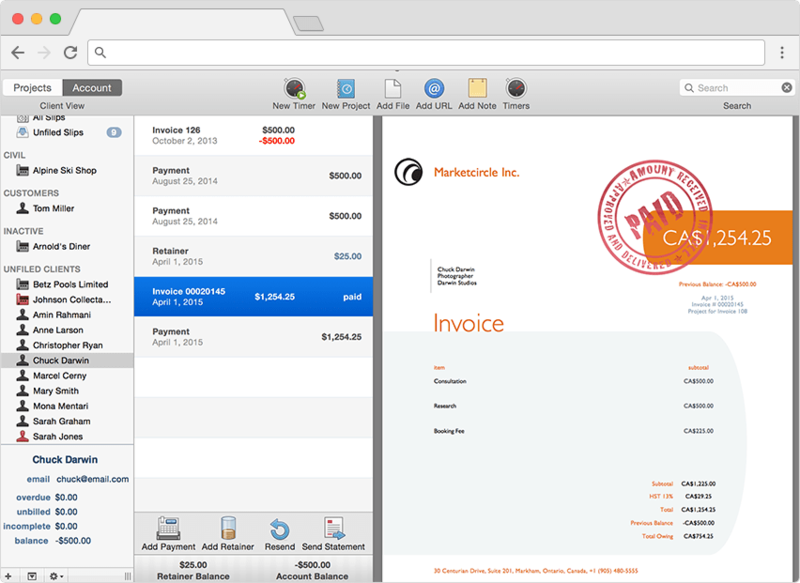 Even better, some of the best Mac time management apps often come with financial management functions, such as generating invoices for your clients. Employers using Mac time tracking applications can have the assurance that they are getting value for money paid to their employees. Whether you’re a freelancer, founder, or remote employee, time tracking software helps make you and your business more productive. In this post, you’ll find the best Mac time tracking software to make your decision easier. When it comes to time management applications, Hubstaff does it all. Download the desktop app for Mac and you’ll be seamlessly tracking time in no time. 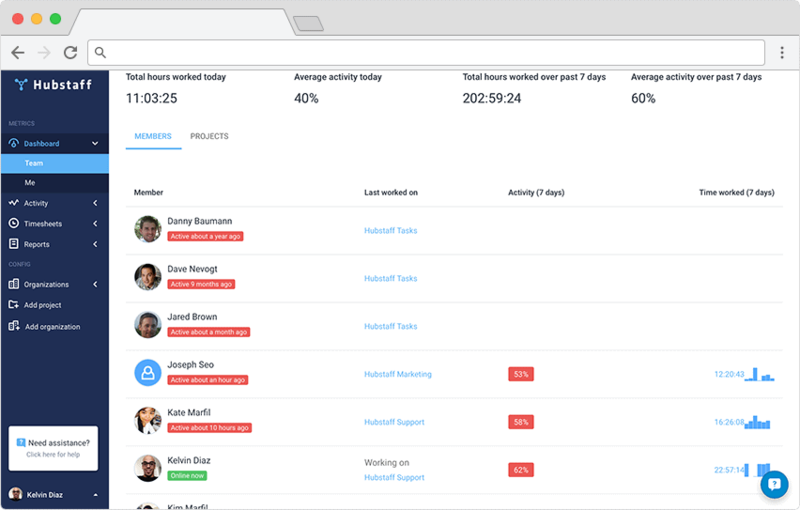 Hubstaff time tracker for Mac is great for companies and individuals who hire full-time employees, remote workers and freelancers. This software generates comprehensive daily, weekly and calendar view timesheets, which can then be used to pay team members and invoice clients. Installing Hubstaff’s Mac app will lead to instant benefits for your entire team. They can use the one-click timer to track their time to the second, so if they tell you a task will take four hours, and it ends up taking five, you can pay them what they’re owed. This accountability goes the other way, as well. As a manager, you can view each person’s time, activity level (based on their keyboard and mouse activity), and optionally, random screenshots of their work. These features can be customized to your settings or turned off altogether. Timesheet approvals, time off tracking, billing and payments make Hubstaff a feature-packed option for Mac time tracking. All the while, still helping companies stay within budget. The Hubstaff app is available for OS X (10.6 Snow Leopard and later), Windows (2000 and later), and Linux (distributions released in 2010 or later). Hubstaff also has an iOS app currently available on the app store. 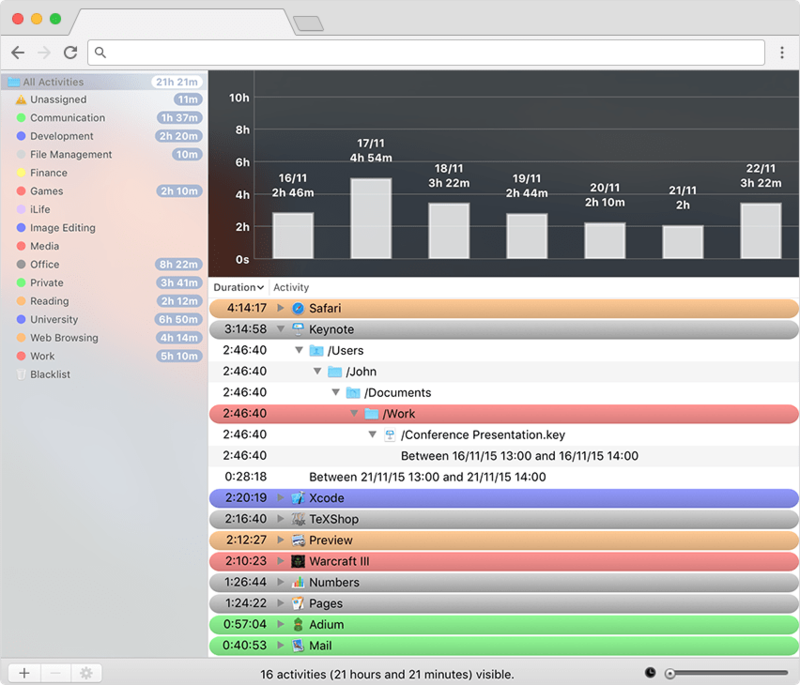 On the Job lets you track time with an automatic idle time detection and sits quietly on your menu bar. 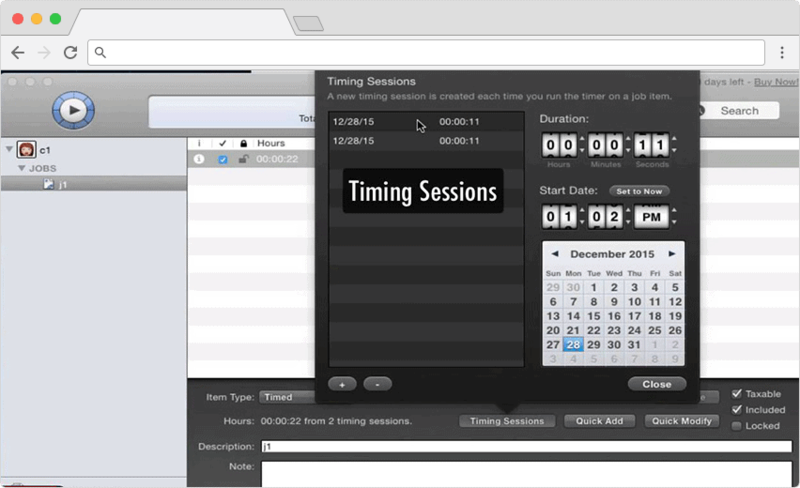 Every time you start the timer, a new session will be automatically created. It can also generate invoices based on customizable hourly rates. With On the Job, you can organize your clients’ information by their names, addresses, their hourly rates as well as the different currencies for different clients. Klok features a visual display of your time and tasks and allows you to customize the organization of your clients and projects. It automatically begins a new timer when you start working on a different task, and you can always adjust the time later. You can also connect Klok to other time-tracking apps, such as Harvest and Freshbooks (more on them later), for added functionality. Other Klok functions include timesheets that can be exported, generation of invoices and dashboard reporting. 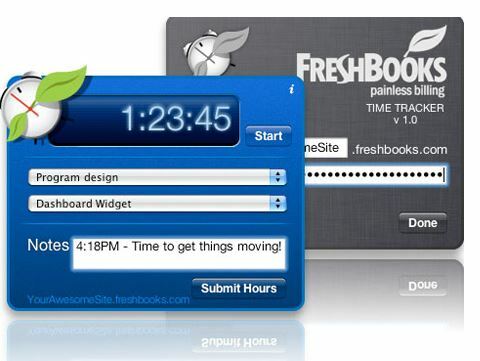 If you’re looking for a free Mac time tracking application, Freshbooks is both a time and finance management tool. You can track team time sheets, set timers and time limits, or handle accounting tasks from the Freshbooks desktop widget. You want to make the process of tracking your time as effortless as possible. While Tyme doesn’t run automatically, it does let you set up a custom keyboard shortcut so you can launch the app with a quick tap of a button. And once you’re in, almost every action has a corresponding hotkey. In theory, you’d never have to touch your mouse. Tyme’s dashboard gives you an overview of your current clients and your most recent entries for each. Being able to get a bird’s-eye view of your work is definitely handy, and Tyme’s sleek, futuristic interface is fun. However, I’ve noticed that Tyme’s dashboard can start to get cluttered if you have more than two projects going at once. For those of you who always forget to track your time, you’ll appreciate Tyme’s reminder feature. The app learns your habits and will you send you friendly messages to start or stop your timer if you’re doing something unusual. In addition to time, Tyme will also keep track of your mileage and business expenses. To get more insight into how you spend your time, give Timing a try. Unlike most of the other options on this list, this app doesn’t have a “turn on/turn off” button: It runs around the clock. If you open it up, you can see everything you’ve been doing, with as much or as little detail as you’d like. Timing automatically groups your activity into categories, like “Web browsing” or “Games.” Open up a category to learn how much time you spent into a specific application, then go one step deeper and check out which files or URLs you opened. 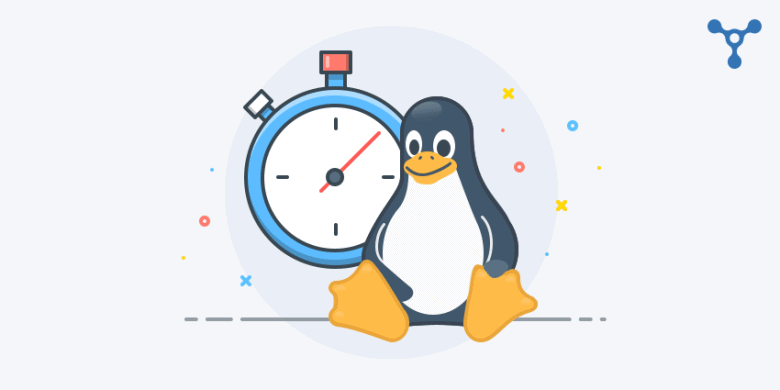 You can assign time to projects, but you’ll have to do it manually by creating a new file and then dragging and dropping your relevant time entries into it. 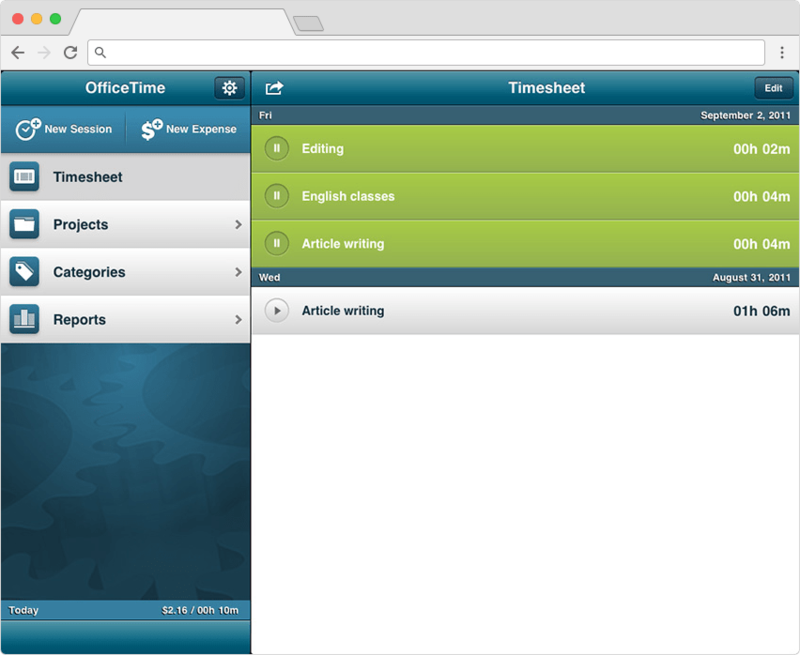 If you’re looking for simple, no-frills time-tracking software, check out OfficeTime. Its interface is nothing to write home about, but it makes up for its appearance with several handy features. Like its Quick Access option. Simply click on your Mac’s top navigation bar, choose the project you’re working on, and start the timer. There’s no need to open the app itself, so you don’t need to waste a single second. When you need a break, want to switch projects, or would like to stop timing, just open the menu again and select the relevant option. OfficeTime also syncs with iCal, which makes it easy to bill clients for meetings or blocks of work you’ve scheduled. Fanurio is a budget-friendly option for freelancers and small teams. It’s fairly flexible when it comes to logging work: you can bill tasks in units or hours, add expenses and trips, and record products (like a set of icons, a blog post, design mock-ups, etc.). Fanurio also gives you a couple different ways to track your time. Of course, you can open up the app to control the timer, but you can also start and stop it using the drop-down menu in your menu bar or the icon in your dock icon menu. Handily, the Fanurio badge in your dock icon menu will display how much time has elapsed. To help you stay on top of things, Fanurio reminds you to start, pause, or stop your timer based on your regular work patterns. Most time tracking apps are focused on the present: You start and you stop the timer depending on what you’re doing in that very moment. But Timely is all about the future. First you schedule your work, then you log your time. So, let’s say you’re planning on Skyping with a client for an hour on Wednesday. Timely integrates with most calendar tools, so your meeting will automatically show up in the app. When you begin your Skype session, click the Timely entry to start tracking your time. When the meeting is over, click it again to end tracking. You’ll get a side-by-side comparison of how much time you scheduled versus how long it actually took. 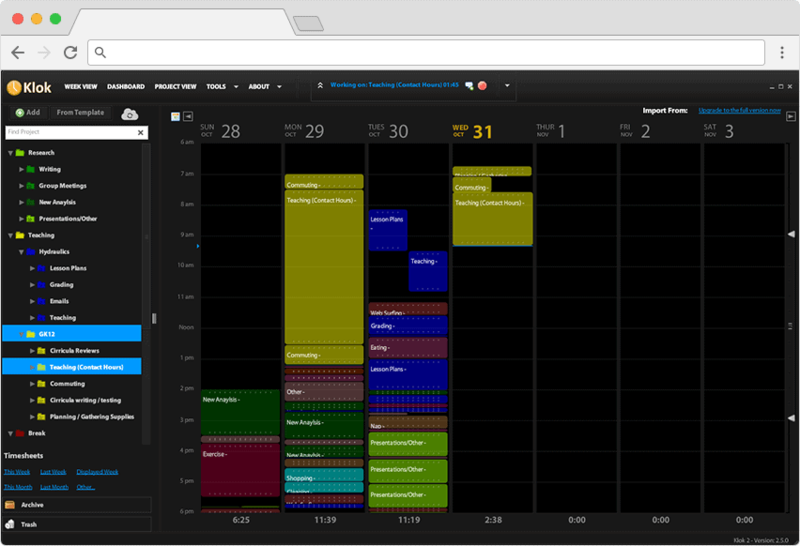 Timely’s calendar view is really elegant and easy to navigate. 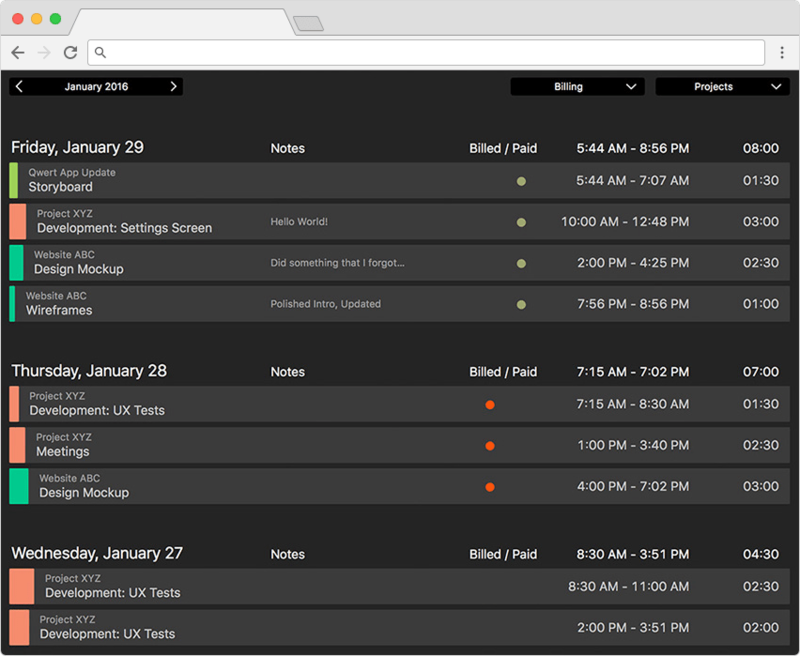 Each project is color-coded, so you can get a visual overview of what you’re working on each day, week, or month. Every time you work on a new project, you’re probably switching apps several times. First, you use an estimate tool, then you switch to a time tracker, then you switch to an invoice generator, and finally, you log into your payment app. Well, with Billings Pro, you can do it all within a single platform. 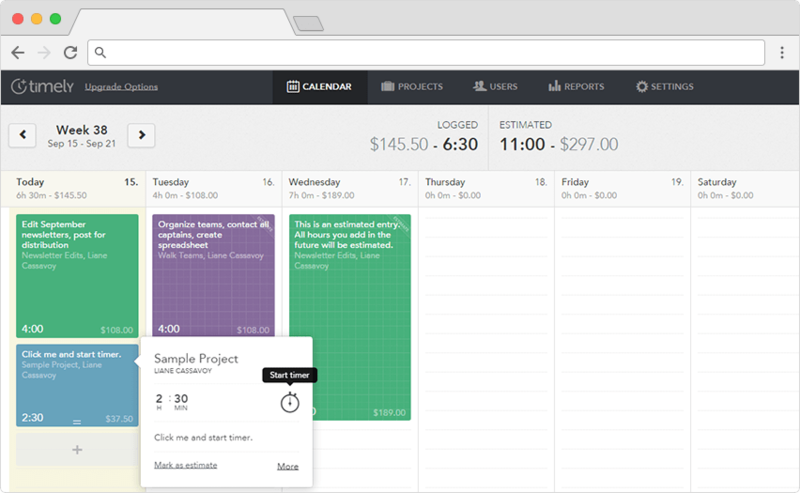 This tool lets you prepare estimates, create detailed time logs, send invoices, and track who’s paid you. That’s not the only way Billings Pro provides convenience. It’s available on your Mac, iPhone, iPad, and Apple Watch, so you’ll never be far away from a digital timer. Tick is designed to keep you and your teammates on budget. After you create a time budget for an entire project or an individual task, Tick will show you how much time you’ve logged versus how much you’ve got left. This feature is definitely useful for freelancers trying not to exceed how much time they’ve budgeted for a specific client, but it’s even more useful for managers who want to compare how much time each team member has logged. Tick’s reporting features are also useful for team leaders. You can look at the data for each employee, or toggle your view to see how much time you’ve billed each client. 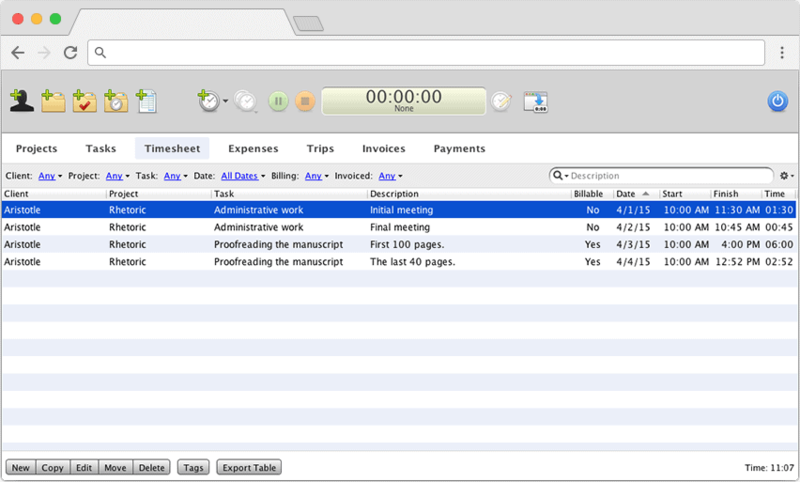 Since Tick integrates with Quickbooks and Freshbooks, turning these reports into invoices is fairly painless. This app integrates with Basecamp as well so you can see how much time is left in the budget, export Basecamp to-do items as tasks (or import Tick tasks as Basecamp to-dos), and see how much time your workers have logged. Free for 14 days – Mac app available! This post was originally published January 24, 2017, and updated August 27, 2018.